The Rubik's Cube is the best-selling toy in history, and it's still extremely popular more than 40 years since its first release. Over 350,000,000 Cubes have been sold since 1980, which is a testament to its enduring popularity. Now, Rubik's Puzzles offers the chance for puzzle fans and toy lovers to boost their brains with stimulating and challenging puzzles that test logic, strengthen memory, and sharpen mental prowess. 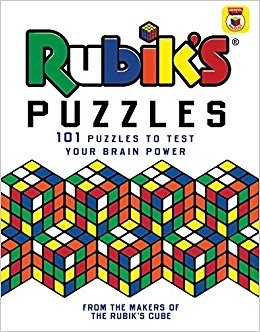 Includes 101 colorful puzzles that will test your puzzle-solving skills to the max. Discover puzzles in varying difficulty levels that offer original, stimulating challenges. 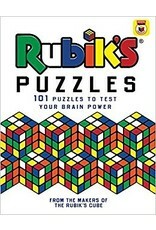 So go ahead... sharpen your brain power with these fun puzzles that reflect the colorful, cube-solving experience!